Allure Sensuelle has preserved its unique and playful fickleness with dazzling citrus, fruity and floral notes, and magnificent wooden accords. Resemblance is there, yet the fragrance has become more mysterious and shady. 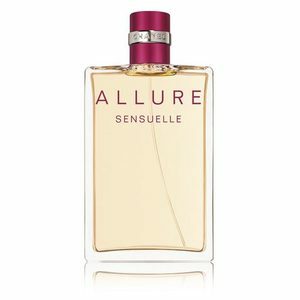 It has not become heavier, but unlike the dazzling brightness and joyful sunny character of the classic Allure, Allure Sensuelle is warmer, its powdery (iris) and oriental notes are accentuated. Its sweet notes (candied fruits) are not obtruding, but hidden in sensual spices and frankincense. 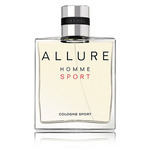 The top notes contain bergamot, mandarin and pink pepper. The heart is composed of jasmine, rose, iris, candied fruits and vetiver followed by the base notes of French vanilla, amber, patchouli and frankincense. The perfume was created in 2005 by Jacques Polge. Its face is charming actress Anna Mouglailis. 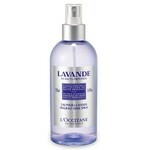 Top Notes: Patchouli, Mandarin Orange, Peach, Bergamot, Pink Pepper. Middle Notes: Iris, Jasmine, Turkish Rose, Bulgarian Rose, Dried Fruits. Base Notes: Labdanum, Spices, Sandalwood, Lavender, Vanilla Vetiver, Amber, Patchouli.